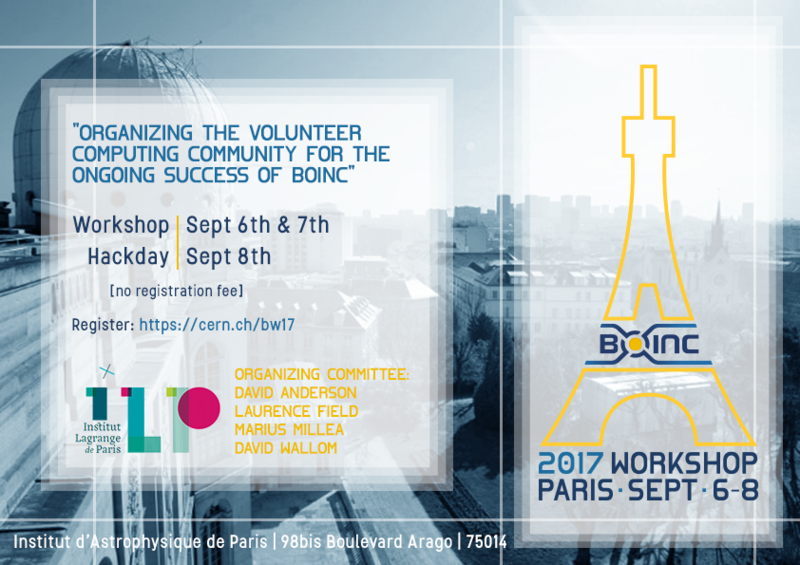 The BOINC workshop in Paris will cover discussions on the status of the open source project with a particular focus on the experience over the past year from the contributors. Some of the projects will present their current status and outlook. Plans for future developments will be presented and how this can be best realized by the community. The workshop will start in the morning on Wednesday September 6th and end on Thursday afternoon. On Friday September 8th there will be a hackfest for those who wish to stay around and do some hands on development with others. Please register before 29 August 2017 if you wish to attend.